This year; the Oscar© has “Wings,” “The Great Ziegfeld” is back, “Birdman” is “The Artist” of the season and the “Midnight Cowboy” of the decade. 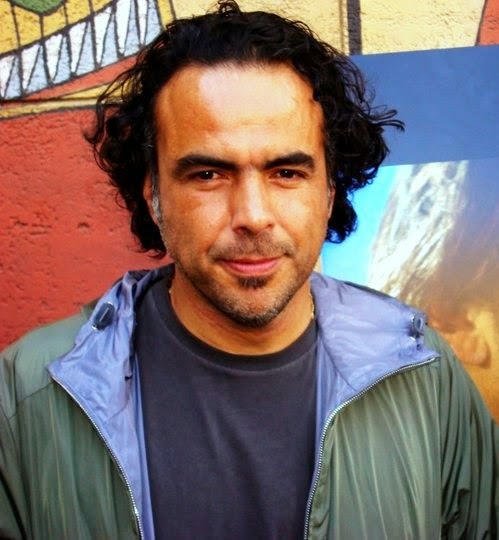 The existentialist, hypnotic, dark comedy, masterfully directed by Alejandro G. Iñárritu (“Amores Perros,” “Babel”) sets apart from the directors’ recurrent topics: communication, violence, emptiness, immigration, human exploitation, but death. 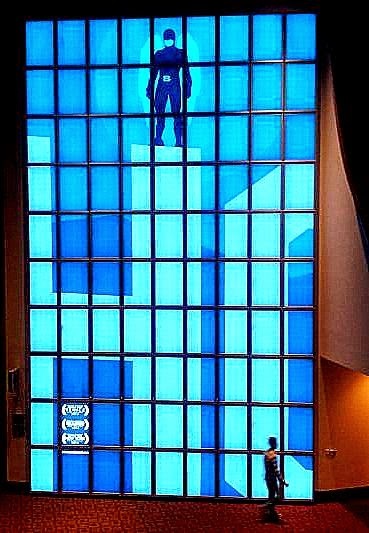 The death is obsessively present in every work done by Iñárritu. The fading fame of the actor, his divorce, age, daughter’s rehab, economic situation, and the lies of other actors made him struggle for survival. Broadway is a jungle where everyone devours each other - actors, agents, lawyers, family, public, and critics (do not forget about the critics). 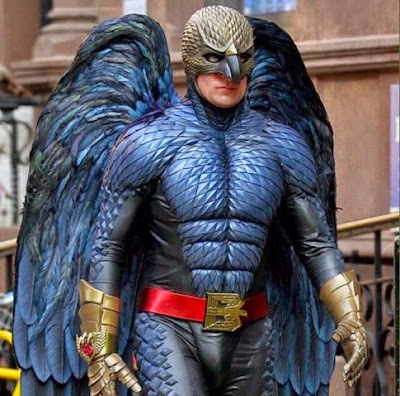 In order to have his glorious return to the stage, the starving actor Reagan Thomson played by Michael Keaton (“Batman,” “Speechless”), must be “nice” to everyone including himself. The situations in life will come up pretty rough on him. 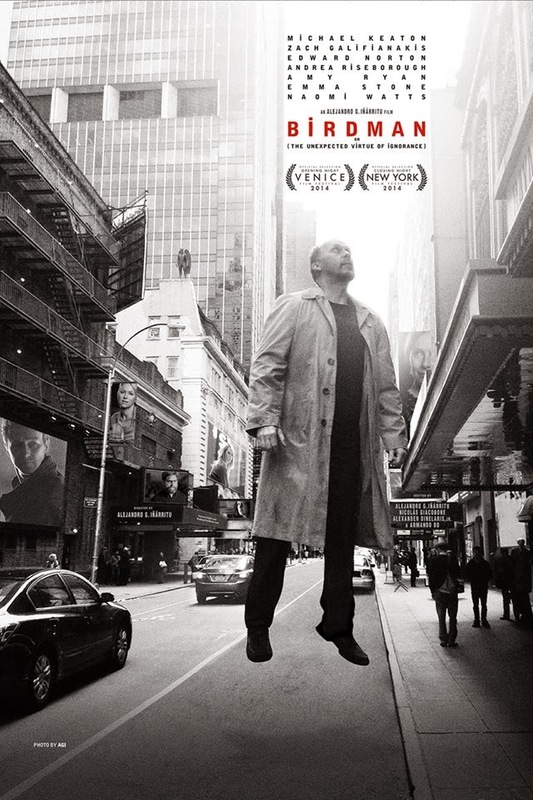 “Birdman” is a pendulum that swings from the long discussions to the long silences - the player is always trying to find what really matters in life. The strident drum score of Antonio Sanchez is jazzy, rhythmic, and sometimes a “wild mambo.” Towards the end, the drums become dissonant and chaotic, enhancing the story to a total madness with an unexpected resolution. 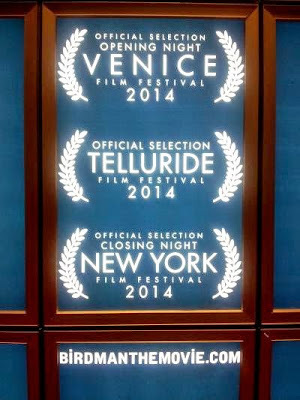 This movie seems to be shot in three days, but its chronicle of the shooting is much complicated than that. It requires planning, building, lighting, choreography, and many rehearsals to obtain the perfect timing, making everything happen at the precise moment. Director, actors, cameraman, editor, and the sound department have to hit their marks in order to make the story go flawless. Their moves have to flow with perfection, like the choreography of the Swan Lake. Let’s not forget the special effects, those come out of nowhere and they are amazing. 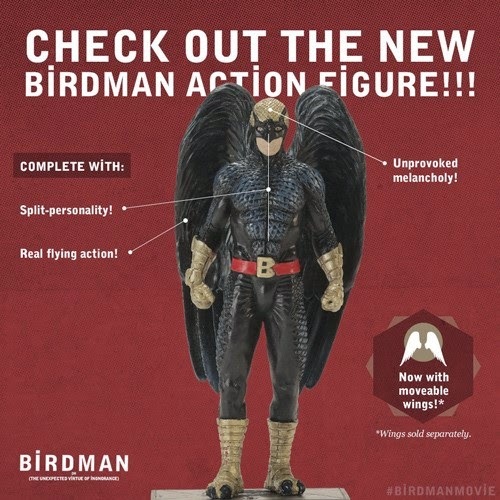 Technically and symbolically, “Birdman” is structured in three parts (first rehearsal, dress rehearsal, and preview). Those parts are interconnected by the complicated long takes that follow the characters through the long hallways inside the theater and sometimes out to the streets. 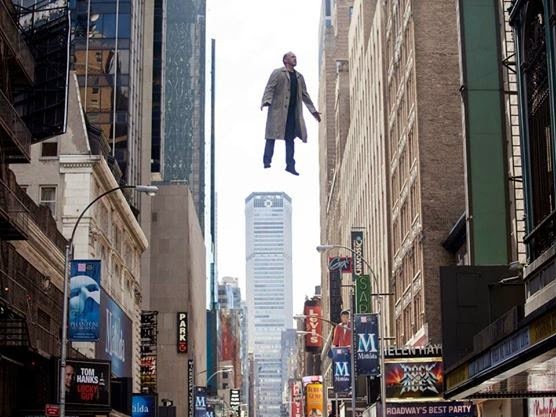 Director of photography Emmanuel Lubezki (“Gravity," "A New World," "Tree of Life”) knows his craft and is able to challenge himself by using the same continuous “long takes” like the one he used inside the building of Alfonso Cuarón’s “Children of Men,” only that in “Birdman” it repeats many times. The Academy Award® winner cinematographer is one of the best of his generation - He’s likely to repeat the Award for the second year in a row. The magnificent shot of the interior of the Korean grocery store with thousands of chili pepper shaped lights is not only colorful or fantastic but breathtaking, marvelous! 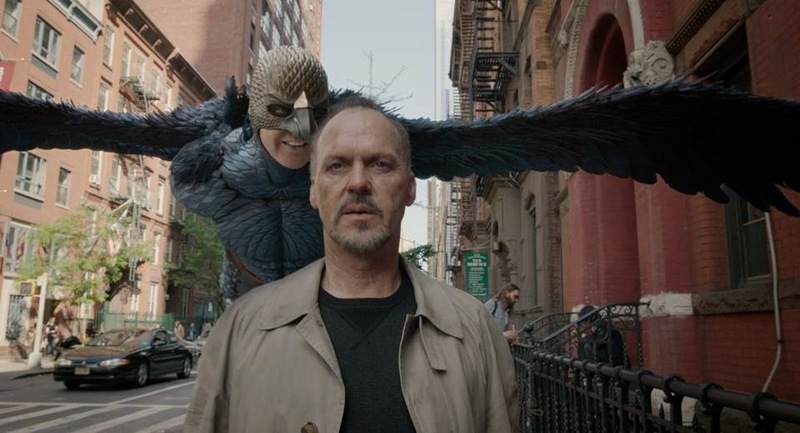 Michael Keaton is phenomenal, the work he has done with Iñárritu pushed the limits for the best performance in his career. Javier Bardem working with Iñárritu got an Oscar nomination in 2010 for “Biutiful” and now it’s most likely that Keaton will get an Oscar nomination for his wonderful performance in "Birdman" - He is the front runner to win gold. Edward Norton, always controversial, his intense presence ignites the big screen with fire. Zach Galifianakis’ performance is the best of his career. Emma Stone is superb, she represents a new generation of Hollywood great young actors. Everyone is just wonderful. Copyright © 2014 Birdman Facebook Page. “Birdman, or (The Unexpected Virtue of Ignorance)” deserves multiple nominations and awards, a simple story in a complex movie that aspires to perfection. Back in October: This year the Oscar© has “Wings.” “The Great Ziegfeld” is back. 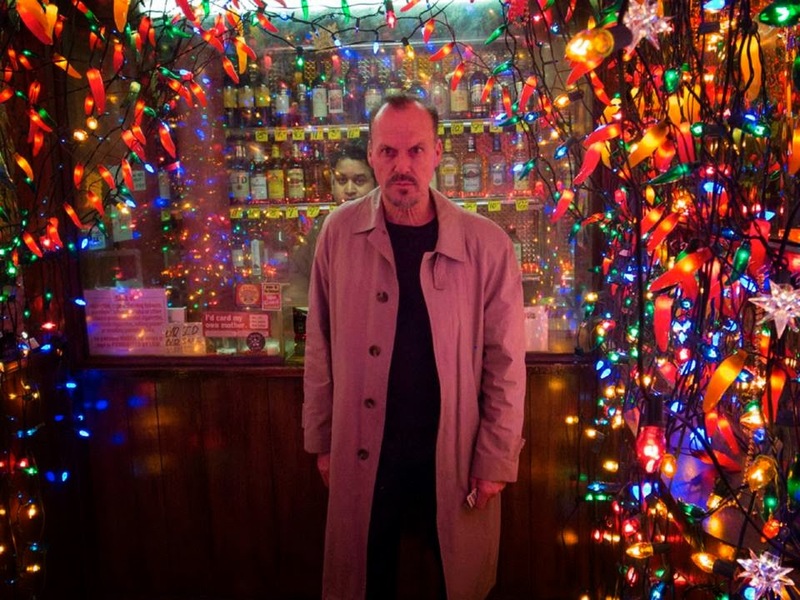 “Birdman” is “The Artist” of the season and the “Midnight Cowboy” of the millennium.